The bulging shape characteristic of the sinuses of Valsalva plays an important role in opening and closing the aortic valve  and maintaining coronary perfusion. 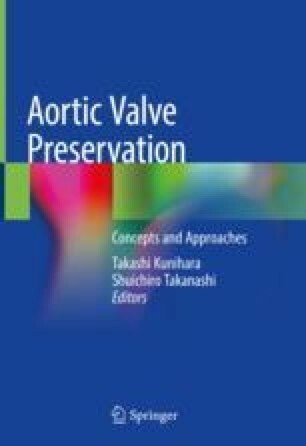 For this reason, various measures are attempted during valve-sparing aortic root reconstructions (VSARR) to recreate the sinuses of Valsalva. One of these measures involves the use of a Valsalva graft to perform VSRRR during the reimplantation  or remodeling  procedure, and favorable outcomes have been reported.